Presented at the IFI in collaboration with the National Lesbian and Gay Federation on the occasion of Dublin Pride 2013. Olivia McEvoy the Chair of National Lesbian and Gay Federation will introduce both films in our Pride 2013 programme and will host Q&A with Pamela Drynan after Where I Am on 22nd June. 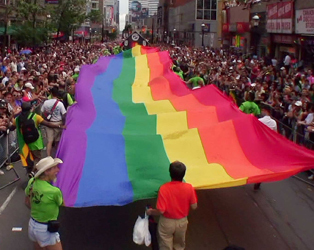 The film follows Ken Coolen, Director of the Vancouver Pride Parade, as he travels the world in the 9 months prior to his own event visiting other countries’ parades. 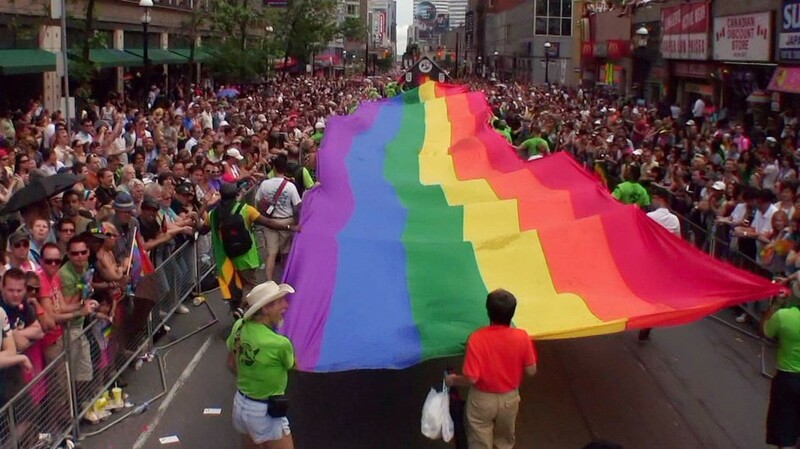 Visits include New York, birthplace of the modern gay rights movement; São Paulo, site of the world’s largest parade; Poland, where the parade is heckled by those who find homosexuality offensive on religious grounds; and Moscow, where the Pride movement is illegal and the parade must be planned in secret for fear of violent reprisals. It’s a fascinating portrait of the movement’s achievements and a reminder of the work yet to be done. Also screening as part of the programme is Where I Am on June 22nd (18.45).